The tough new Farmall U utility tractor from Case IH has been designed to provide the ultimate experience for busy operators. ​The new Case IH Farmall U delivers performance that is greater than the sum of its parts, while offering top notch durability and ultimate operator comfort. Whether working with mounted machinery, trailed equipment, with a loader or on transport duties, the versatile Farmall U tractors more than live up to the reputation of the famous Farmall name. The Farmall U delivers semi-powershift transmission and a deluxe cab with an optional suspended cab, providing greater versatility, ease of use, and comfort. “The semi-powershift transmission installed in the Farmall U has been taken from the well-known Maxxum Series tractor. It has 16 forward and 16 reverse gears, four powershift speeds and four ranges. Speed is up to 40 kilometres an hour. The Farmall U cab is another area where operator comfort is at the fore, with repositioned ergonomic controls and a smoother ride from the cab suspension all designed for less operator fatigue and more productivity. “Operator ease and convenience has driven much of the Farmall U design,” Peter said. The high visibility roof panel gives excelllent visibility for loader work, and a standard instructor seat allows two adults to be in the cab together. An updated Heat Ventilation Airconditioning (HVAC) system gives the operator superior comfort and control while a factory-installed Bluetooth radio and mechanical joystick integrated into right-hand console come standard. The Farmall U tractors use Case IH FPT Industrial 4-cylinder 3.4-L turbocharged and intercooled engines. Precise electronic fuel metering and electronic high-pressure fuel injection improves efficiency, extends engine life and improves cold-engine starting. Most importantly, it provides efficient power. "This unique fuel injection system provides greater fuel savings, even with higher horsepower levels," says Peter. "The Case IH Farmall U Series tractors are designed and built to withstand the mechanical stresses of loader work and three-point hitch applications. The Farmall U lineup is a premium offering for customers looking for a utility tractor that provides the 'ultimate Farmall experience'." 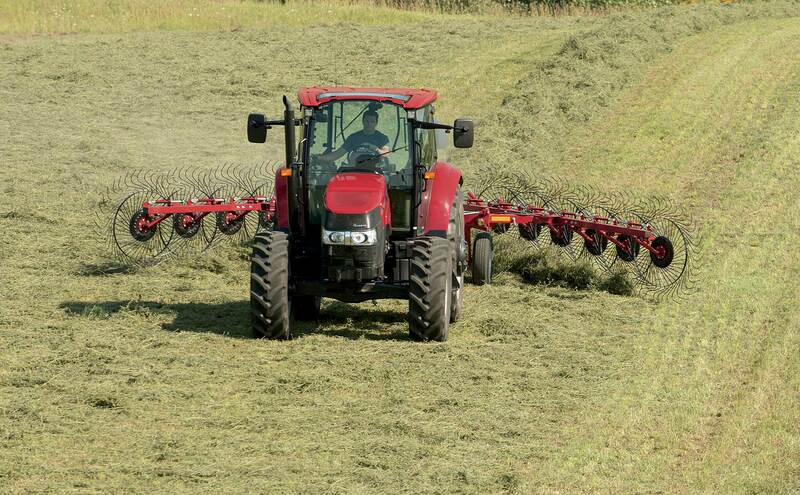 For more information see your local Case IH dealer.